Whether you’re thinking about renovating your house or building a brand new one, you are likely to require the services of an architect, whether or not you realize it now. General contractors can handle some renovations without an architect’s input, but in many cases, it is best to have all of your design plans created by someone who truly understands architectural best practices. The idea of hiring an architect can be a bit scary if you’ve never worked with one before, but there’s no reason to feel overwhelmed. These professionals love working with clients to give them the homes they’ve always wanted. As you read the rest of this guide, you will see some questions and answers about hiring an architect. Hopefully, these will help you feel more comfortable about your situation as your project begins to move forward. In short, architects design blueprints and floor plans for homes, commercial buildings, and other structures. They also often oversee their buildings’ construction process to some degree. 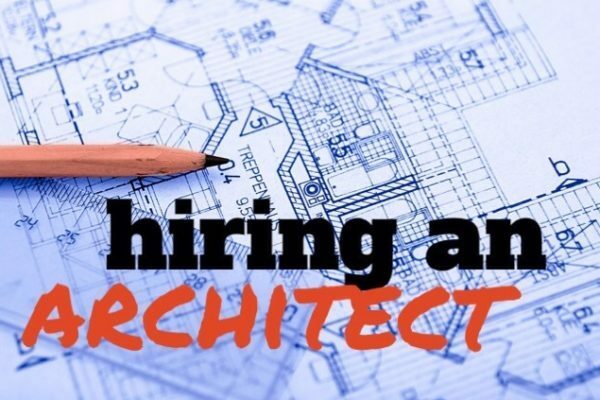 Architects must hold at least a bachelor’s degree and go through an intense three-year internship with a licensed architect. Once an architecture student is approved by the National Council of Architecture Registration Boards, he or she must begin including his or her license number on any blueprint he or she draws-up. This allows the architect to be traced if need be. There are a variety of people who should work with architects. Anyone planning to build a commercial structure or a brand new home should, of course, work with an architect who specializes in those types of buildings. If, however, you are a homeowner planning to make any structural changes to an existing house, it would also behoove you to hire an architect. He or she will make sure your design plan makes perfect sense. Depending on an architect’s level of experience, location, and a host of other factors, you can expect to pay somewhere between $50 per hour and $200 per hour for his or her services. Architects in rural regions of the Carolinas are usually less expensive than those who work in cities like Charlotte or Charleston, and newly graduated architects tend to cost less than their more experienced colleagues. Take these things into consideration if budget is an issue for you. How do I know who is right? Only you can figure out which local architect is truly best for your project. Do bear in mind that all architects have certain design styles they are passionate about. It is often beneficial to work with a professional who really cares about the type of project you’re doing. If you need assistance finding an architect to help with the blueprints for your job, don’t hesitate to ask the team at Hatch Homes. If we are working on your project, we will be happy to help you locate other home services professionals to join the team. Our goal is to make sure your house is ideal for your family, so you can count on us to assist you in any possible way.